B&H Photo Video posted a new update on the release date of the new Leica M, previous release date was on February 28, 2013, now it was delayed until April 30, 2013. The reason for this delay is still unknown. 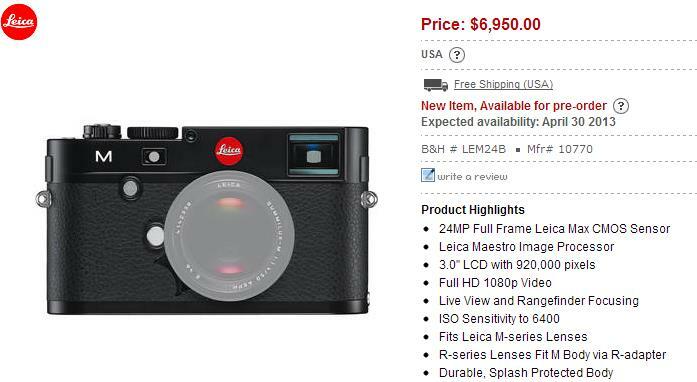 See Leica M Buying Option, and the Leica M sample images are also available. Next Next post: Deal – Lowepro Classified Sling 220 AW Bag – $50 off !